Why a Third Section of the Secretariat of State? The establishment of a Third Section in the Vatican Secretariat of State has shed light on three themes of Pope Francis’s pontificate. The first: the fact that Cardinal Pietro Parolin, Secretary of State, has gradually achieved an ever more central role. The second: that Pope Francis keeps on making reforms and adjustments “while walking,” leaving until after he has already taken the steps the official act of making the reforms definitive. The third: diplomats are ever more important in this pontificate, and this emphasis also brings about a shift in the Vatican’s approach to doctrinal issues, as diplomats have a more pragmatic and less theological attitude toward them. 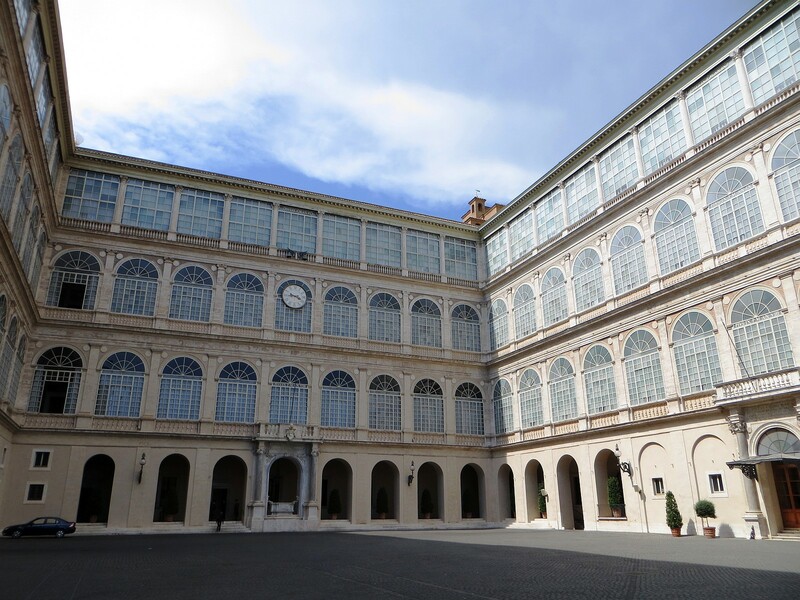 One detail clearly reveals this reclaimed role of the Secretariat of State: the Pope established the Third Section of the Secretariat with a letter sent to Cardinal Pietro Parolin, who in turn delivered the letter to the nuncios. This letter was not a motu proprio, a formal document which is normally required in order to redesign the Secretariat of State, since the Apostolic Constitution that governs the Roman Curia, “Pastor Bonus,” clearly states that the State Secretariat consists of two sections. The fact that Pope Francis wants to make reforms “while walking” can be noted by the way the establishment of the Third Section was communicated. Some in the Vatican got to know of the change only when word of it appeared in newspapers. Moreover, some of the apostolic nuncios did not receive the communication promptly, though Pope Francis’s decision was made a long time ago, and his letter was dated October 18. The content of the letter – not revealed by Vatican media, which just reported the communiqué of the State Secretariat – provides other revealing details about Pope Francis’s pontificate. These words express an obvious captatio benevolentiae directed toward those in the diplomatic world who looked on with sympathy at Cardinal Bergoglio during the 2013 conclave. And it was not by chance that diplomats set their gaze on Bergoglio. The General Congregations, the cardinals’ pre-conclave meetings, were characterized by the complaints of diplomats who felt marginalized during Pope Benedict XVI’s pontificate. This marginalization was mainly felt for two reasons. The first was Benedict’s decision to appoint Cardinal Tarcisio Bertone, a non-diplomat, to the helm of the Secretariat of State. The second was Benedict’s choice to devolve the periodic meeting with nuncios to the Secretariat of State, instead of meeting with them himself. During the pre-conclave meetings, Cardinal Bergoglio also reportedly took the stage to defend the work of the Pope’s ambassadors. If the rumor is correct, it was probably that speech, rather than his words about the existential peripheries, that convinced many long-standing diplomats among the cardinals to vote for him. Setting the focus on the “diplomatic staff”, that includes the whole staff of the nunciatures, the Third Section will give more emphasis to the post of “papal ambassadors.” The shift is being brought about by the elevation of the Office for Pontifical Representations, which already functioned as a sort of “human resources offices,” and which was traditionally led by a nuncio. Since 2015 Archbishop Jan Romeo Pawlowski has been in charge of the post. The head of the former office now leads the new section, and is waiting for his new office to be staffed with a “congruous number of officials,” as the Pope stated in his letter. In the end Archbishop Pawlowski will keep on doing the job he has done in his former post, but in addition he will work with the First and Second Sections and will take part in periodic meetings within the Secretariat of State between the Deputy of the Secretary of State and the Vatican Minister for Relations with States. This latter will not be an easy task, since the new section is not precisely shaped yet, although it is clear that it will take care of the nuncios. 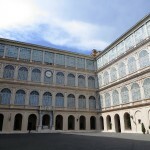 This means that the rest of the diplomatic staff will be subject to the First Section for General Affairs, while the Second Section could see its diplomatic role strengthened with the establishment of an Office for Papal Mediation that Cardinal Parolin had suggested a long time ago as part of the reform. The establishment of a Third Section continues the strengthening of the Vatican Secretariat of State, the sole curial office that has remained untouched while also being reinforced in the midst of a curial reform that the cardinals strongly requested during the pre-conclave meetings, and that Pope Francis initiated with the appointment of the Council of Cardinals. The idea for the establishment of a Third Section was born out the periodic meetings of the Council of Cardinals. During those meetings the role and formation of apostolic nuncios was a frequent topic of discussion. With this decision, the Pope wanted to show, on one hand, a renewed attention toward the Vatican diplomatic world, and, on the other hand, a focus on guaranteeing a permanent education of future diplomats that is also pastoral, in line with the “pastoral conversion” that Pope Francis constantly requires. So basically this is not a big change, since we are talking only about the reinforcement of a pre-existing office, that of the Delegate for the Pontifical Representations. Nevertheless, the change of perspective must not be underestimated. The diplomatic world has come back to rule in the Vatican after years of perceived marginalization. This shift started at the beginning of the pontificate, when the return of the old men of the Curia could be observed, along with the appointment of long-term diplomats to key posts: Cardinal Beniamino Stella as Prefect of the Congregation of the Clergy, to oversee the selection of priesthood candidates about which Pope Francis is very concerned; and Cardinal Lorenzo Baldisseri at the helm of the General Secretariat of the Synod, a post that at the beginning of the pontificate was considered central. So central that Cardinal Baldisseri was called on by the Pope to coordinate some of the first meetings of the heads of dicasteries. It has yet to be seen how this radical change in approach will influence this pontificate’s decisions, and how much it has already had an impact. Diplomacy per se involves reaching compromises, even in theological matters. It should not be underestimated how the most recent meeting of the Vatican heads of dicasteries, on November 12, was focused on the formation of the clergy on the basis of the document “Ratio Fundamentalis Institutionis Sacerdotalis,” issued in December 2016 by the Congregation of the Clergy. According to reports, the heads of dicasteries discussed the “human” aspect of the priestly formation, rather than their academic formation. It was reported that this approach constituted a new way of education that could more effectively tackle the pastoral challenges of the contemporary world, especially in terms of the family. Some inside observers noted that this changed approach might bring about an opening in the future to the institution of “viri probati,” which, according to rumor, is one of Cardinal Stella’s main issues. “Viri probati” are men of proven trust, called to celebrate the Eucharist and the Liturgy of the Word in the absence of priests. This will be one of the hot topics of the special Synod for the Pan-Amazonian region that the Pope has already set for 2019. In the end, the nuncios’ pragmatic approach, combined with Pope Francis’s’ wish to give more weight to local churches, could risk eroding step by step Church doctrine while institutionalizing a new praxis. In the meantime, the Secretariat of State has now regained all the power that in the beginning of this pontificate was supposed to be distributed to other dicasteries. Curial reform, in the end, is more conservative than what is thought. Meanwhile, the Pope’s reform of hearts proceeds quickly, as he is little by little changing the people in charge, and replacing them with people more adapted to his idea of Church.